A true sign of spring in the Okanagan is the emergence of the Arrowleaf Balsamroot flowers (Balsamorhiza sagittata), also known as the Okanagan Sunflower. Their brilliant yellow colour is spectacular particularly when seeing an entire hillside adorned with the flower. Kalamoir Regional Park is an excellent place to see the flower in all its glory. 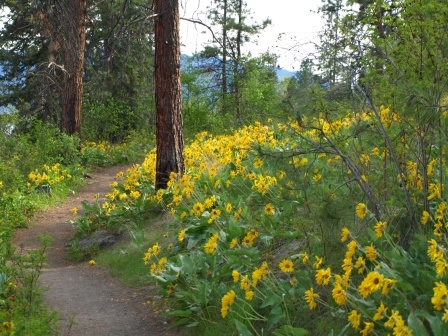 From picture taking opportunities right along the lower paths to whole hillsides speckled in yellow, a trip to Kalamoir during the spring while the Arrowleaf Balsamroot flower is in bloom is worth the trip. 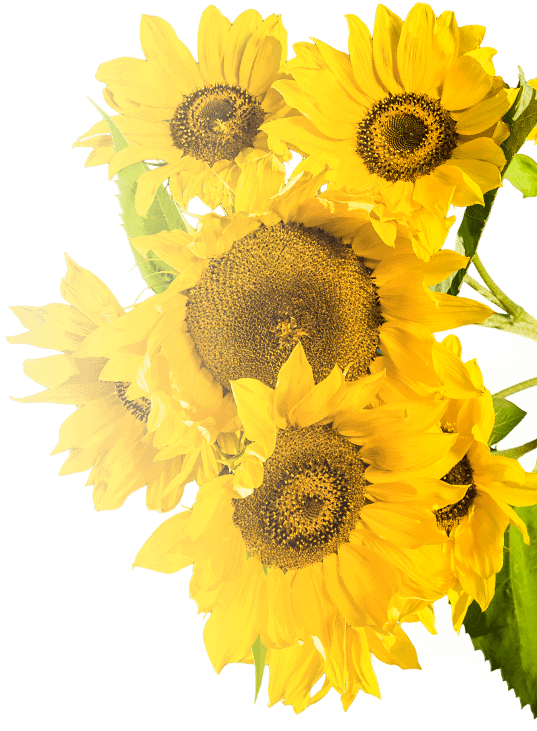 Did you know that the Arrowleaf Balsamroot flower was used as a valuable food source and is significant to the Okanagan calendar and the Syilx-speaking Peoples of the Okanagan Nation as a time marker? 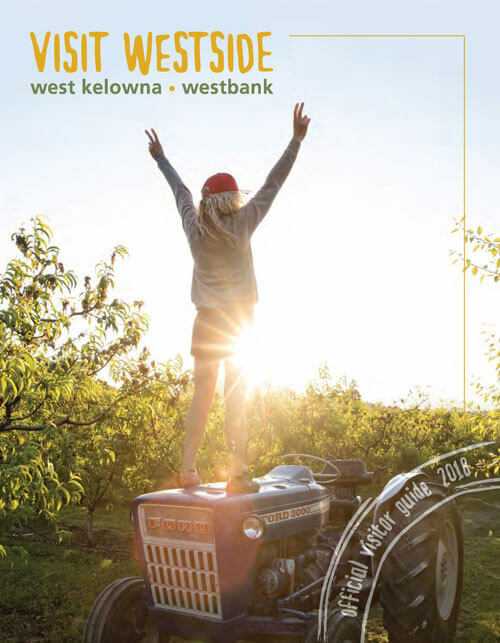 Did you know that the yellow in the logo of the Westside Wine Trail was chosen to represent the Arrowleaf Balsamroot flower?